What a beautiful new design from Nora Corbett of Mirabilia. 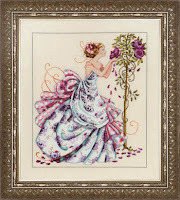 PROVENCE ROSES shows a beautiful young lady enjoying the sweet fragrance of equally beautiful roses. Wonderful project for 2013! 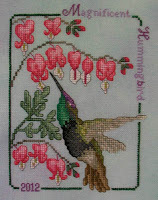 Crossed Wing Collection has added to their group of amazing hummingbirds. MAGNIFICENT HUMMINGBIRD is stitched on Carribean hand-dyed linen; one of the many beautiful colors in the linen line produced by Crossed Wing. 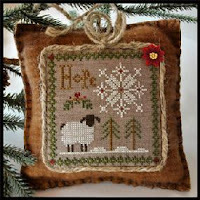 The first LITTLE SHEEP VIRTUE – HOPE is making its first appearance and it is darling. There will be a companion to Hope each month with a new message. These designs would be wonderful in a basket filled “lamb messages.” We do not yet know the timing on the first shipment but are anxiously awaiting more details. We do have a list of those who want to receive these designs each month, so please let us know if you would like to join the group. 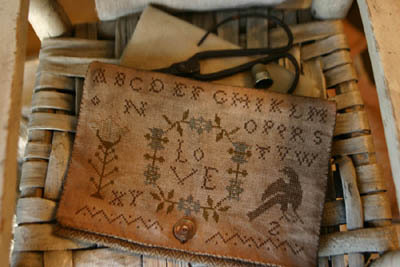 TRUE LOVE SAMPLER BAG & PINKEEP from Stacy Nash Primitives is reminiscent of a project stitched in colonial days. 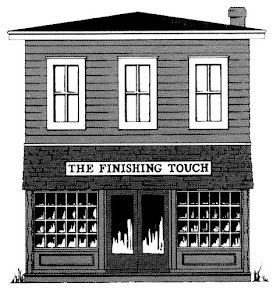 Remember, we have a finisher. Many thanks to those who joined us for our year-end sale. We are now looking forward to Super Bowl Sunday and a number of upcoming designer trunk shows. 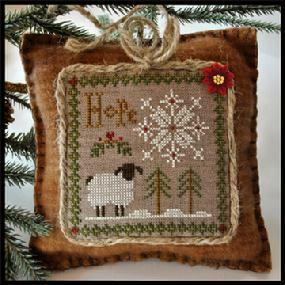 Our best wishes for a wonderful 2013 filled with hours of stitch time.